Bajaj Auto is planning to launch the biggest capacity motorcycle ever in India, Pulsar 375, by the year end. 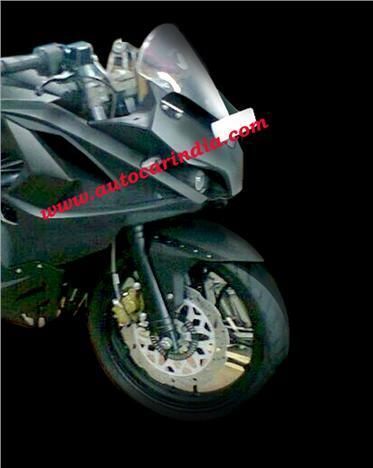 Below is the spy shot of the Pulsar 375 captured by AutocarIndia. The initial images of Pulsar 375 indicate eye like turn indicators, faired front end and twin eye shaped headlamps. At present, Duke 390 is powered by 44Bhp-35N-m torque from a single cylinder 373cc liquid cooled four stroke engine. Expect a similar output from Pulsar's 375cc bike. Expect a six speed manual transmission as standard and a price close of Rs 2 Lac. Stay tuned for more details.